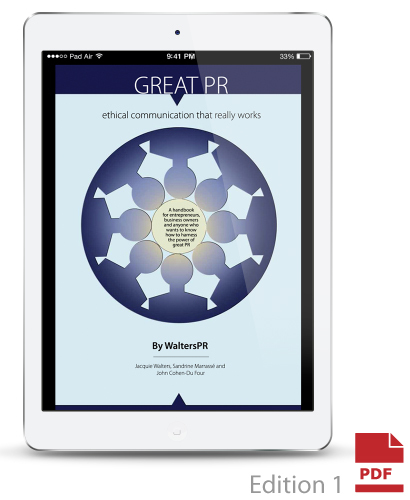 The first edition of our book “Great PR – ethical communication that really works” was published in 2016 and has sold out its first print run. The e-book version is still available for free download. If you would like to pre-order the second edition (due for printing in July 2017) please click below.